This Mulberry Bayswater had been stored in damp conditions and mould had infested it’s interior… not what any handbag lover wants to see! Here at The Handbag Spa, we have professional mould cleaning processes, which eliminate mould and ensure that it doesn’t come back! 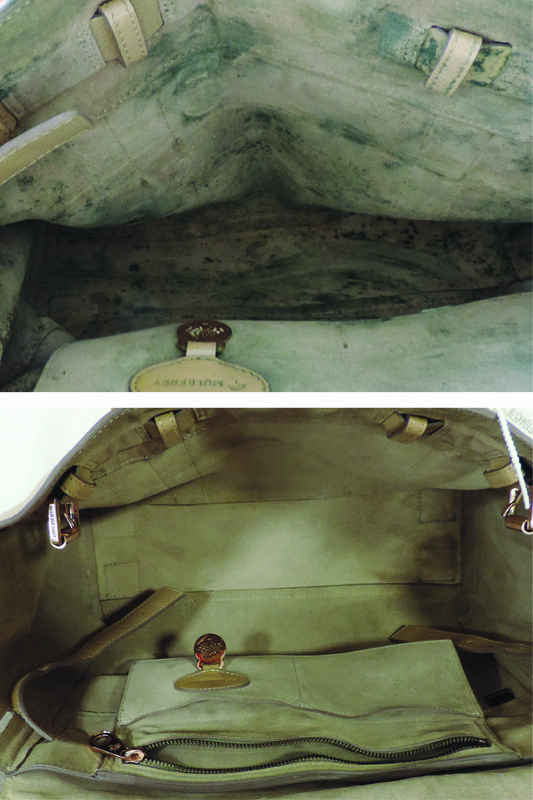 The suede interior in this case cleaned up beautifully and the nasty mould odour was removed too. 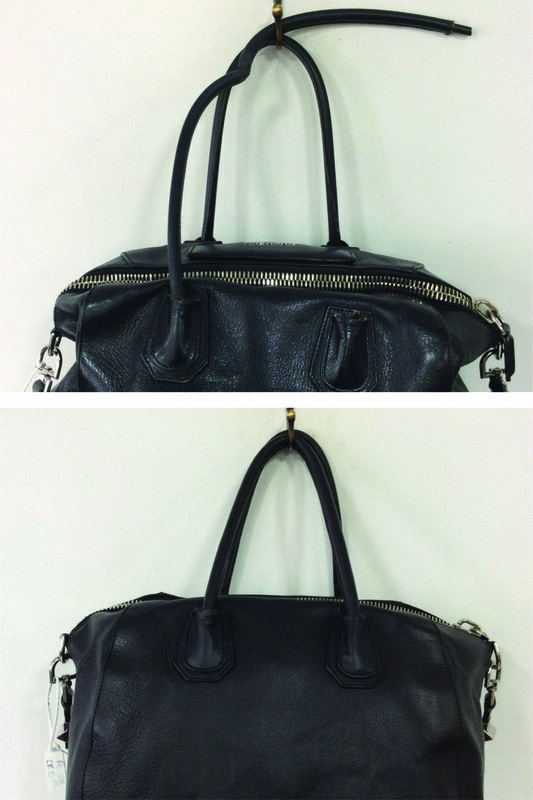 It’s easy to feel like your handbag is ruined when you see the build up dirt and dye transfer has stained it, but here’s where The Handbag Spa can help! 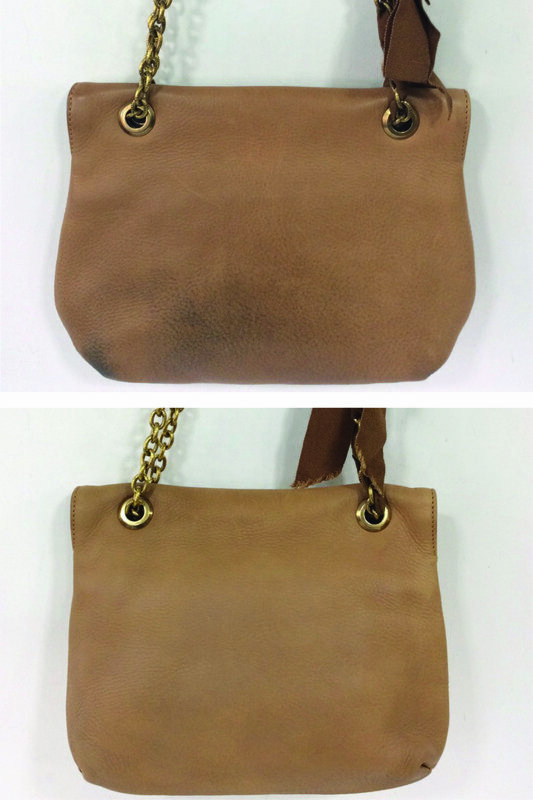 This Karen Millen bag came into The Handbag Spa looking a little worse for wear and in need of our specialist Suede Clean. 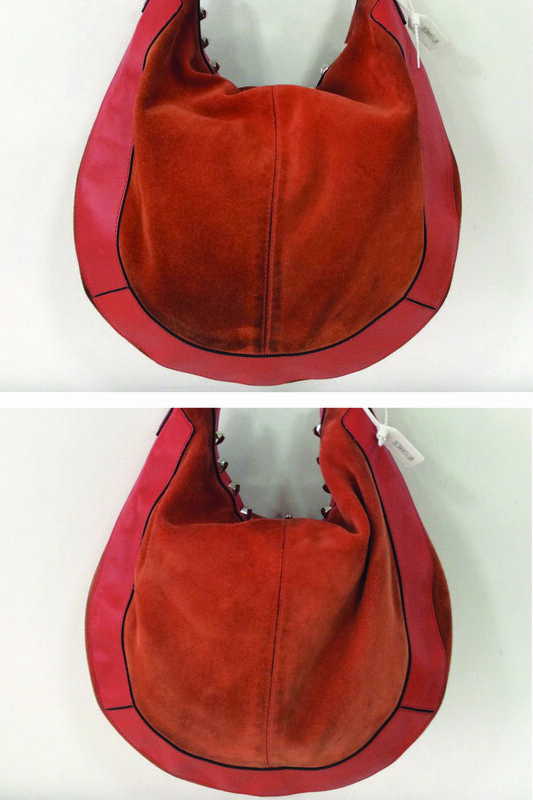 After we removed the Dye Transfer from the leather, the mandarin colour looked refreshed – rejuvenating the handbags overall look. Tan is a great colour for a handbag, as it goes with so much – but dark dye transfer is not such a great look for any fashionista. Lighter coloured bags are very susceptible to this affliction, as we all want to wear our favourite arm candy with a trusty pair of jeans (like this customer and her Lanvin). Here at The Handbag Spa we offer a Dye Transfer Removal treatment, which typically sees the bag undertaking a Full Clean, Stain Removal and Colour Correction in order to eradicate any marks. It’s not just handbags we clean and restore here at the spa! 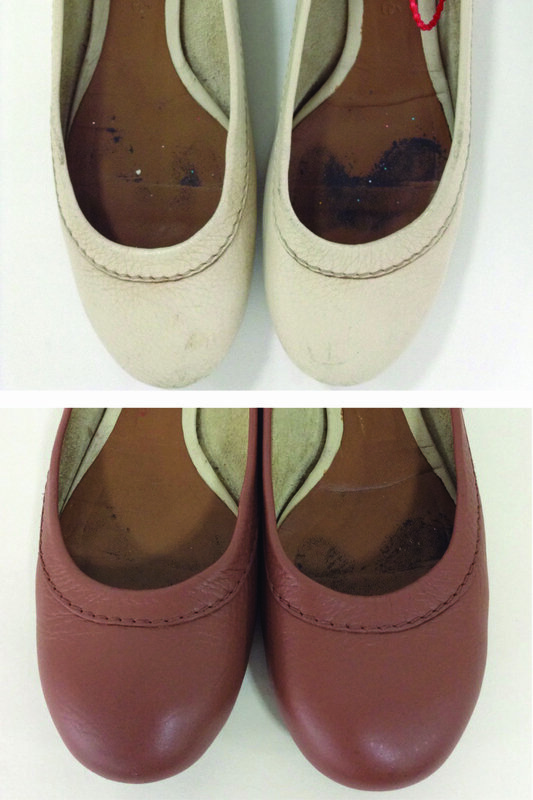 These cream Chloé pumps had seen better days – as we all know cream can be a hard colour to keep looking it’s best. The customer decided it would be best to change the colour of the shoes to a more wearable tan shade. This transformation worked well and the darker shade ensured even coverage of any previous staining. The technicians did such a good job that no-one would have any idea of their original colour. 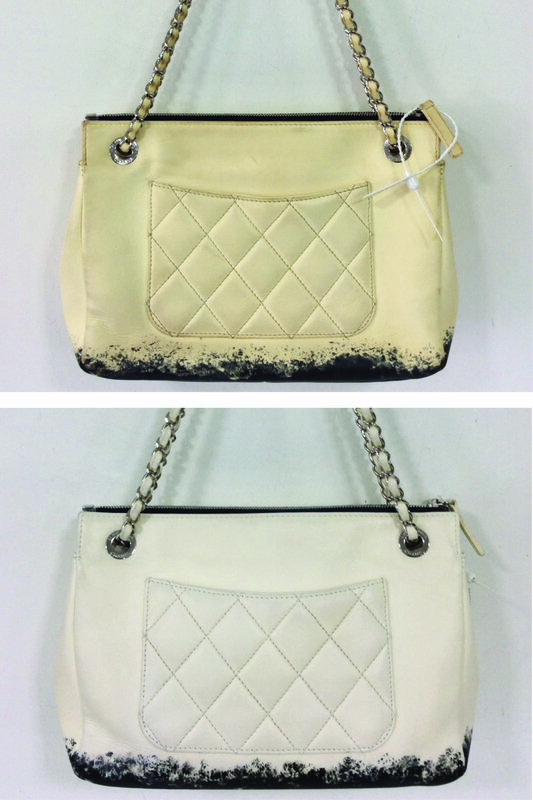 This unique Chanel handbag was suffering with a bad case of colour fade when it came into The Handbag Spa. Luckily our technicians can colour match by eye, so they restored the overall handbag back to its original white colour – including the strap. The black paint detail was then added to get the bag looking fresh and in ‘like new’ condition again. A fashion icon such as the Givenchy Antigona, deserves to look its best. Unfortunately our customers had been well used, well loved and needed The Handbag Spa to rescue it! After the addition of New Handles, a Full Clean and Full Colour Restoration this handbag is now ready for any occasion.